Watch: Sidharth Malhotra Or Fawad Khan- Who Will Alia Bhatt Go On A Date With? Sidharth Malhotra, Alia Bhatt, Fawad Khan, Karan Johar, Rajat Kapoor, Ratna Pathak Shah, Rishi Kapoor attended the trailer launch of Kapoor and Sons on February 10, 2016. Kapoor & Sons directed by Shakun Batra will release on March 18, 2016. Alia Bhatt will be seen romancing both Fawad and Sidharth. 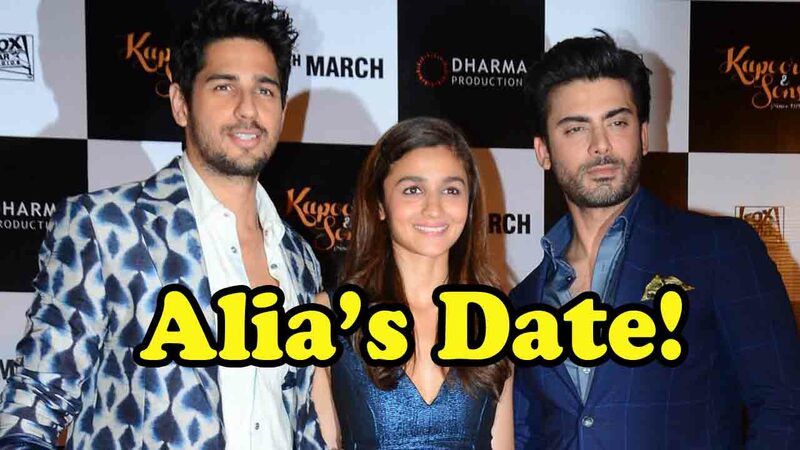 When asked about going on a date, Alia was asked to choose between the two. Find out who did she choose. Previous articleWatch: Karan Johar Opens Up On Rishi Kapoor’s Older Look In Kapoor And Sons! Next articlePhotos: It’s Not Ranveer Singh, But Who Is Arjun Kapoor Bromancing?